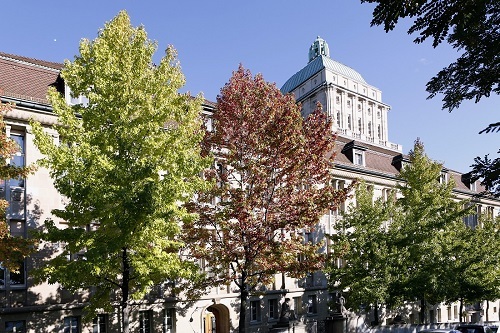 The University of Zurich (UZH) with its 26,000 enrolled students is Switzerland's largest university. Founded in the year 1833, UZH was Europe's first university to be established by a democratic political system; today, UZH is one of the foremost universities in the German-speaking world. Made up of seven faculties covering some 100 different subject areas, the University offers a wide variety of Bachelor's, Masters and Ph.D. programs. In addition, UZH's continuing education programs offer excellent learning opportunities. Thanks to its many years of experience the LL.M. programs provide its students an academic education at the highest level. The Law Faculty not only offers the widest range of different specializations in Switzerland but also excels with its outstanding network of renowned professors from all over the world who lecture the many programs and courses. The LL.M. 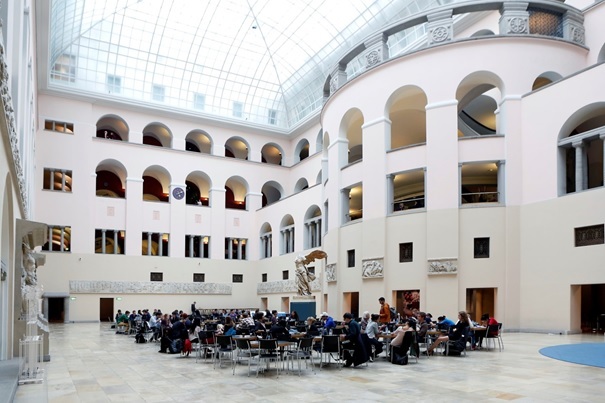 International Business Law of the University of Zurich offers a practice-related postgraduate course at the highest level. You have the possibility to choose to study one of the following areas of specialization in greater depth: 1. International Banking and Finance Law (offered in English on a Full-Time base and in German on a part-time base) 2. International Business Transactions and Technology Transfer (only offered in German) 3. International Litigation and Arbitration (only offered in German) 4. Mergers & Acquisitions and Corporate Law (only offered in German) 5. International Sports Law (offered in English on a Full-Time base and in German on a part-time base) --> The specialization section can also be attended as a certificate (CAS) course. With its carefully chosen areas of specialization, the LL.M. International Business Law meets the legal needs of a globalized business world and it ... - can be completed full-time or work-based - excels with its long experience - is characterized by its excellent network of internationally renowned lecturers - offers the widest range of specialization in Switzerland - is internationally oriented with trips to the U.S., China and the EU - offers its participants excellent support during the course of study - encourages discussion and discourse - supports exchange amongst students and faculty through intensive weekends in seminar hotels - offers participants personal guidance during the study program enjoys access to offerings at the University of Zurich - profits from the offerings of the Europa Institut at the University of Zurich. Switzerland has a lot to offer in terms of cultural diversity, languages, stunning scenery and, of course, its people. There are approximately 8.1 million people living in Switzerland and the country has four official languages: German, French, Italian and Romansh. Switzerland has enjoyed economic stability over the past decades. Despite Switzerland lack of natural resources and the fact that the Swiss economy is highly dependent on exports, its GDP per inhabitant is higher than in most other industrialized countries. The Swiss population, on the whole, enjoys a high standard of living and Switzerland has a strong reputation for high-quality services in many sectors including health, industry, public transport, education, etc. In the Global Competitiveness Report released by the World Economic Forum in 2015/2016, Switzerland tops the overall ranking. “Brainforce” is also highly valued in Switzerland and this is reflected by Switzerland‘s leading position on the “European Innovation Union Scoreboard 2016”. Studying in Zurich means living in Switzerland’s vibrant and exciting cultural capital. Far more than a business and finance center, Zurich is also known as the “little big city”. This is because Zurich offers all the benefits of city life and at the same time attractive recreation facilities on its doorstep with its stunningly beautiful lake and nearby mountains.